Maybe it's been two years since you were in Oakland Interfaith Gospel Choir, maybe it's been twenty. But chances are good that you miss it every now and then. Perhaps the occasional Monday night? Here is your chance to be a part of something wonderful, all over again. 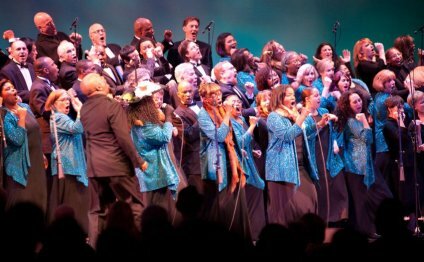 Past members of OIGC are invited to join our alumni choir for the spectacular 30th Annual Holiday Concert at the Paramount. The OIGC community of choirs will be performing, and we have a wonderful celebrity host: Danny Glover. Interested? Keep reading to find out how to join us. Uniforms will be all-black attire. Call time is 2:00 PM.